Sleep apnea is a sleep disorder which can cause extreme fatigue due to sleep loss and can affect many areas of your life, including driving, relationships and the onset of depression. Driving while tired is an established risk factor for being involved in a deadly accident. This hazardous situation can be caused by driving after too little sleep, but it can also result from untreated sleep apnea. In addition to placing themselves at risk, untreated sleep apnea sufferers threaten the lives of other drivers. Reduced judgment can result in speeding, unsafe lane changes and mistaking red lights for green ones. Sleep apnea and snoring can hurt relationships as well as health and overall quality of life. The stress of the situation can erode a relationship over time. Here’s more about the link between sleep apnea, snoring and relationship problems and how to solve the problem. Sleep apnea is marked by nightly breathing interruptions and, in many cases, snoring. Sufferers spend life in a haze, too tired to perform well or enjoy anything as much as they used to. When snoring is present, the sleep quality of bed partners is also affected, often making them feel resentful over time. Because the sleep apnea patient is always exhausted, he or she is likely to be humorless, grouchy and sapped of libido. This combination of sleep deprivation and loss of companionship can slowly draw a couple apart. Sleep apnea patients often sleep for a normal number of hours, making it common for couples to never realize that a sleep disorder is causing their loss of intimacy. Working while sleep deprived is a drain on everybody involved. For the exhausted employee, it can turn even the most enjoyable work into pure drudgery. For the employer, the situation spells loss of productivity. Sleep apnea and snoring are a common cause of daily fatigue, and afflicted workers risk not only their safety but also their job security if they go untreated. Lack of sleep has long been known to be a risk factor for depression. A night of poor sleep can ruin anyone’s mood, but long-term sleep loss can also cause more serious mood disruption. 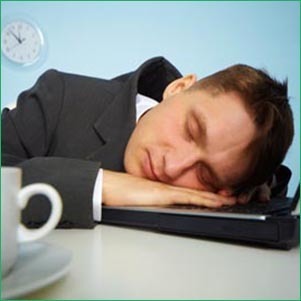 Furthermore, the loss of performance resulting from sleep deprivation can decrease self-esteem as sleep apnea sufferers become less able to handle work, social interaction and other daily activities as well as they once could. Over time, this can progress to clinical depression with symptoms such as lack of interest, low appetite and thoughts of death. We can help find a treatment that could work for you; treatments can range from lifestyle changes for mild sleep apnea to clinical treatments for moderate or severe cases. In the latter case, this may include CPAP or newer, more easily tolerated treatments, such as oral appliances and soft tissue removal.